I decided to change my dentist mostly out of convenience because of the close proximity to my home. I am soglad I did because this was one of the best dentist experiences I have had. They actually took me n earlier than my appointment time which is unheard of. Then when I sat down they had a HUGE tv and handed me the remote to pick something off of Netflix. It was nice to have something to distract me from being at the dentist. The Dental Assistant was so so nice and helped me get my x-rays. Dr. Youn was just as pleasant and I felt so at ease. I was super impressed with how quickly she was able to look at everything and determine exactly what I needed done. I didnt get the best news and found out I need my wisdom teeth removed but I feel super confident having it done with her. She also seems to care about the patient and actually cared to get to know me a little bit as opposed to getting me in and out. Thank you! I decided to change my dentist mostly out of convenience because of the close proximity to my home. I am so glad I did because this was one of the bestdentist experiences I have had. They actually took me n earlier than my appointment time which is unheard of. Then when I sat down they had a HUGE tv and handed me the remote to pick something off of Netflix. It was nice to have something to distract me from being at the dentist. The Dental Assistant was so so nice and helped me get my x-rays. Dr. Youn was just as pleasant and I felt so at ease. I was super impressed with how quickly she was able to look at everything and determine exactly what I needed done. I didnt get the best news and found out I need my wisdom teeth removed but I feel super confident having it done with her. She also seems to care about the patient and actually cared to get to know me a little bit as opposed to getting me in and out. Thank you! Didn’t feel rushed. Listened to my dental history. Explained exactly what was next while I was there. Easily made followup appointments. Made sure I didn’t have any questions. Polite. Courteous. Didn’t feel rushed. Listened to my dental history. Explained exactly what was next while I was there. Easily made follow up appointments. Made sure I didn’t have any questions. Polite.Courteous. 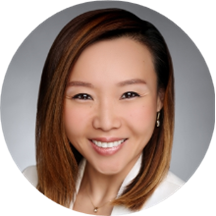 Dr. Alexis Youn practices comprehensive general dentistry in downtown Chicago. She completed her dental education at the University of Michigan in Ann Arbor, earning both her DDS and AEGD certification there. Dr.Youn finds fulfillment in both educating and addressing the clinical needs of her patients, and continuously attends classes to offer patients the most up to date and comprehensive treatment possible. At Avenue Dental, the doctor and staff take pride in efficient same day dentistry with the addition of CEREC same day crowns and denture repairs. The fully digital office offers check ups and cleanings, as well as cosmetic work such as veneers, Invisalign braces and teeth whitening. We welcome all patients interested in dental treatment and hope that we have the opportunity to service your needs. So kind and patient. I was really nervous about my bad teeth and she made me feel very comfortable! No wait time! My husband and I had back to back appointments, but she was able to see us both at the same time. Quick and to the point. Makes recommendations but realizes you may not follow them. Very informative and great bedside manner! Everyone there is very kind and friendly. My appointment took absolutely no time at all. Had a great visit with Dr. Alexis Youn and will be going back to her in 6 mos. Detail oriented and informative. Thank you! Dr. Youn was very patient and attentive! Also very pleased with the cleaning that I had done. Looking forward to future visits. This was my first visit and a great experience. No wait and very friendly. Dr. Youn found a few issues during my cleaning and everything was clearly explained and a treatment plan was drawn up on the spot. I would highly recommend! Was a wonderful experience! Highly recommend. The office was ready to see me as soon as I arrived! My only issue with the visit overall was the doctor decided to do more than originally planned for a filling so after I had paid upfront I had more charges before I left again. Very nice staff, Dr. Youn is so knowledgeable and listens to what you have to say! The place is very clean and sterile. I’m glad I found them. Professional, thorough, knowledgable, and efficient. One of the best Dentist appointments I've had -- I highly recommend. The whole staff was so kind and made me feel very comfortable. Doctor Youn was very informative and helped me make the best decision for not only my health but also my pocket. I am not a normal patient and havea lot of teeth issues. I have finally found my forever dentist in Chicago! Great visit. Very Professional and efficient. Dr. Youn was great. She was incredibly professional and did a great job of narrating her actions. I have found my Chicago area dentist. Dr. Youn was great! She's very knowledgable and explains everything throughout your appointment. The office staff is extremely nice and helpful as well. I was seen before my actual appointment time which was awesome and was done quickly. Nogimmicks or up sells either which I really appreciate from a doctor/dentist. Highly recommend giving this office a chance if you’re looking for a new one! Dr. Youn is professional, funny, personable, and super efficient. Love her office and entire team! So glad I found her. My visit was timely and informative! I really like Dr. Youn, and she did a very good job explaining the procedure and potential future procedures to me. I am glad that I found her! Dr. Youn was amazing and took her time to explain everything and make me feel comfortable! Dentist offices scare me usually but I am so excited to continue to work with Avenue Dental! I had a great experience with Dr. Youn and her team. She was efficient but I didn't feel like it was rushed at all. I had one cavity filled on the spot and she made sure to let me know thatwe can stop for breaks or raise a hand if there is pain and need to back off. She put a watch on a couple other spots but didn't recommend an aggressive treatment plan, which I appreciated. Overall, would highly recommend. Dr.Youn and her staff were great! I just moved to the area and was looking for a close dental office and I'm so happy I went. It had been a few years since my last visit and I was a bitnervous about the work I might need. The front desk verified my insurance for me, told me in detail what was needed, and scheduled me out for the work in a timely manner. I didn't feel pressured by the doctor or the staff and will definitely recommend others to the practice! She was friendly but did not make me feel comfortable at all. She was rough on the tooth cleaning and didn't take her time. I didn't like the way she addressed her staff either. At the end, she charged me aridiculous amount for the dental work that I needed done. The doctor and staff were very polite but she recommended a much more expensive procedure than what was necessary to cure the problem. Dr. Youn was very professional and friendly. Quick and easy appointment including a full set of x-rays. I loved that I could make an early morning appointment before work, and the staff got me in and out ahead of schedule. Very comfortable office space! Great explanation of diagnosis. Alexis was very professional and knowledgeable about her work. Although it's only been one visit, she is someone I would recommend and see again. Thanks! Very nice and does a great job cleaning teeth. Takes her time and makes sure she answers all questions you have and gives advice or thoughts of what might be needed. Ill be going back. I have to get my wisdomteeth taken out and was already scheduled an appt in a week! I will deff be returning for her to be my regular dentist. The evening hours are great and everyone was kind and helpful. Alexis’s office is super modern and fresh. They even have tv’s in the room where you get x-rays done so you can watch whatever you want. I had a filling that had to be re-done and she performed the fix super quick and totally painless. 100% recommend. All around great experience, will definitely be coming back for future appointments. Dr. Youn explained everything in great detail guiding me through the process. All the staff was friendly, welcoming and helpful! Dr. Youn was incredibly friendly, thorough, and professional. I would recommend her to any family member or friend. Great staff! Everyone was very helpful and professional. Visit was quick and efficient. I went in for a cleaning after a long absence from the dentist and there was no discomfort or pain! I am going back and my wife is going to check it out as well. Everyone in the office was super nice and very helpful. Dr. Youn was very quick and efficient in her diagnosis of my xrays, and with the cleaning. I had an excellent overall experience at Avenue Dental. Dr. Youn was extremely professional and informative. I will be returning for my cleanings and treatment for sure! I was reluctant to visit as I had neglected my teeth for years and had terrible build up of tartar. I was seen promptly, no waiting time at all and her staff were extremely friendly and polite. The office is bright,clean and very modern. I had a new patient exam and had a root scale and polish to remedy my smile. I am absolutely delighted with the results and am will be back within the week to have my cavities taken care of. I can not recommend Dr Youn highly enough. She is a real credit to the industry. Alexis was a great doctor. very informational and friendly. My visit was great. Super nice and very professional. Very modern and fast! Dr. Youn is wonderful! Very friendly, professional, very considerate of my comfort. I would highly recommend her. Her office staff is wonderful, too. They are all so polite and considerate. I admittedly hadn't been to the dentist in a few years after moving to Chicago and Dr. Youn made the experience surprisingly pleasant. Went back after my teeth cleaning to have a few cavities filled and was in and out ina half hour. The whole process was completely painless. Her staff are also fantastic and the facilities are prestine. Would very highly recommend. Dr. Youn is very personable and wonderful at explaining everything. I would recommend her to anyone! Dr. Youn is the best dentist I've found in Chicago. She is great at explaining the details of the work that's being done to your teeth without dumbing down explanations or being patronizing. She's quick to answer any detailed questions aboutyour oral health. She also takes great effort in being as transparent as possible in explaining the details of your bill and how insurance fits in - patient transparency is key!